Locals said the animal was very friendly and often came to play with them on the beach. 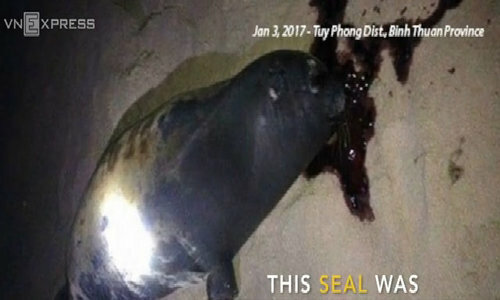 A seal, which often played with locals on a beach in the central province of Binh Thuan, has been killed. Nguyen Loc Quan, a resident in Tuy Phong District, told Lao Dong newspaper on Tuesday that the animal, weighing 50 kilograms, was found dead on January 1 with a fresh wound in its head. 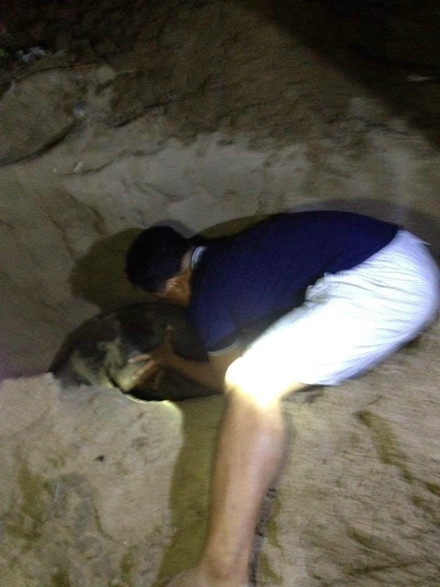 Quan and some other locals then carried the seal away for burial, adding that the friendly animal could often be seen playing with people on the beach since early December. Locals said some fishermen may have killed it on suspicion that it damaged their fishing nets and ate their fish. Seals are found from time to time along the central coast, including in Hue, Da Nang and Quang Ngai. Around five months ago, two seals were reportedly caught and sold in the region. Some species and subspecies of the animal are endangered. It remains unclear which species the one found in Binh Thuan belonged to. Vietnam's animal protection regulations mostly deal with endangered species and are not always implemented effectively.